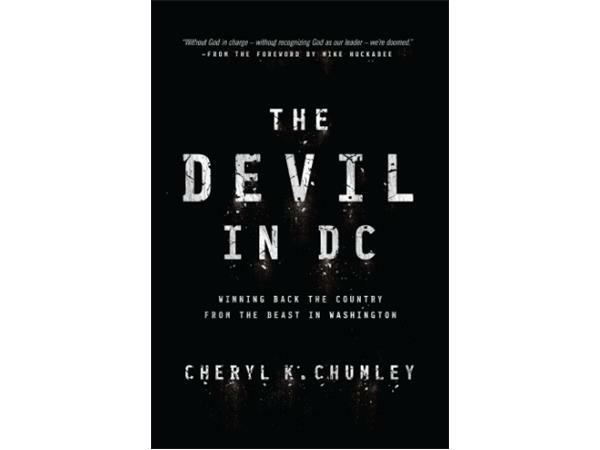 In The Devil in DC veteran journalist Cheryl K. Chumley warns of the progressive-socialist and atheist direction America has taken. In a step-by-step guide on what to do about it, Chumley not only explains the issues at hand but offers solutions to the issues: a crippling welfare and entitlement system that reduces the potential of the citizenry; an education system designed to appeal to the lowest performers rather than help all students rise to a higher standard; a broken immigration system that rewards and encourages illegal immigrants, limits the power of the border states, and makes devalues and endangers US citizens; a Federal Reserve that irresponsibly runs up debt by printing money to artificially prop up our economy (and in turn encourages record-level personal debt); and worst of all career partisan politicians who are more concerned with getting reelected and lining their own pockets than in doing what is right for their constituents. "The Devil in DC is such an important book to read," explains former governor Mike Huckabee. "[It] takes the fight of patriotic Americans to an even higher level, appealing to Christians and those of faith to get in the ring, jump in the fight. And what I really like about this book is it then shows them just how to do it. "The Devil in DC gives more than a dozen different ideas on how to turn back Big Government and in the spirit of what Founding Fathers envisioned reestablish that our rights our God granted, not government given.